Sports Rendezvous: Super Eagles: Nigeria to play Morocco in CHAN final. Super Eagles: Nigeria to play Morocco in CHAN final. The Super Eagles will take on Morocco in the final of the African Nations Championship. The Super Eagles of Nigeria will on Sunday, February 4 take on Morocco in the final of the African Nations Championship (CHAN). The Eagles booked their passage to the final with a 1 - 0 victory of Sudan in the semifinal of the CHAN. The victory earned Nigeria a showdown against hosts and tournament favourites Morocco who defeated Libya 3 - 1 in their semifinal fixture. 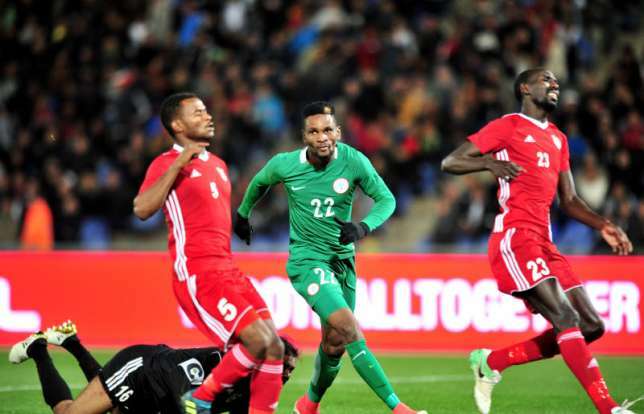 The Super Eagles started their campaign with a goalless draw their opening match against Rwanda, before a 1 - 0 victory over Libya in their second game. and secured their passage to the next round after defeating Equatorial Guinea 3 - 1. The Eagles went on to defeat Angola 2 - 1 in the quarterfinal, before their semifinal with Sudan.